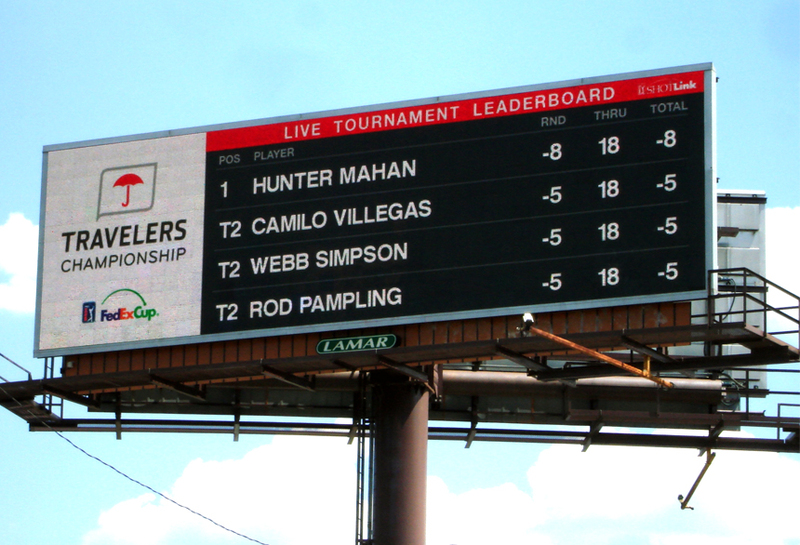 Travelers insurance used a Lamar digital billboard to live stream the scores of a local FedEXCup tournament. Lamar digital has the ability to live stream times, scores, and traffic updates to name a few. These statistics and up to date information keep consumers informed and invested in a brand.